Welcome! The EB-5 visa for Immigrant Investors is a United States visa created by the Immigration Act of 1990. 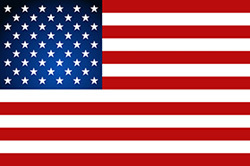 This visa provides a method of obtaining the "Green Card" for foreign nationals who invest money in the United States. International business executives, investors, and important persons who are active worldwide consider an alternative citizenship and passport a powerful tool for international tax planning and a safety net should the living conditions at home become unbearable. To obtain the visa, individuals must invest $1,000,000 (or at least $500,000 in a Targeted Employment Area - high unemployment or rural area), creating or preserving at least 10 jobs for U.S. workers excluding the investor and their immediate family. Please contact us for a detailed cost estimate or confidential consultation. Our associated attorneys are ready to assist you with attaining your investment objectives and answer any questions you might have about the EB-5 Residency / Citizenship by Investment program. To stimulate the U.S. economy through job creation and capital, the United States is offering foreign investors a visa that can lead to permanent residency and ultimately citizenship in return for a minimum investment of US$ 500,000 in a new commercial enterprise. The purpose of the EB-5 visa is to create or preserve at least 10 full-time jobs for U.S. workers excluding the investor and their immediate family. To obtain the visa, individuals must invest a minimum of US$ 1,000,000 (or US$ 500,000 if in a "Targeted Employment Area" - an area of high unemployment), creating or preserving at least 10 jobs for U.S. workers excluding the investor and their immediate family. Investments can be made directly into a new or existing job-generating commercial enterprise, or into a "Regional Center", a 3rd party-managed investment vehicle, which assumes the responsibility of creating the requisite jobs. Regional Centers may charge an administration fee for managing the investor's investment. If the foreign investor's application is approved, the investor and their dependents will be granted conditional permanent residence valid for two years. After two years the investor may apply for permanent residency (the "Green Card"). After five years of residency (conditional plus permanent) the investor may apply for U.S. citizenship. Our associated attorneys are are licensed to practice immigration law in the USA and can answer all of your immigration related questions. The following are questions frequently asked about the EB-5 visa program. If you don't find your answers here, please contact us at your convenience. Q: What is the minimum investment required to obtain the EB-5 visa? A: The minimum dollar amount is US$ 500,000 if the investment goes towards a business located in a so-called "Targeted Employment Area" (TEA), which is an area of high unemployment. If the location of the business is not a TEA, then the minimum investment is US $1,000,000. Q: How many jobs must the investment generate or preserve? A: The investment must create or preserve at least 10 jobs for U.S. workers excluding the investor and their immediate family. Q: What types of businesses can I invest in? A: As long as the minimum number of jobs are created you may invest in 1) a new commercial enterprise you start up, or 2) an existing troubled business that is entirely restructured, or 3) a so-called "Regional Center". Q: What is a "Regional Center"? A: A "Regional Center" is a U.S. government-approved public or private investment vehicle that assumes the responsibility of creating the requisite jobs. Regional Centers may charge an administration fee for managing the investor's investment. The benefit of such centers is that they free investors from day-to-day management responsibilities they would have to assume were they to launch their own business. Investors should conduct their own due diligence by retaining a certified public accountant and a business attorney to examine all aspects of the investment vehicle before investing. Q: What is the visa application filing process and how long does it take to get the visa? A: The EB-5 visa application process consists of three steps: filing Form I-526 (Petition by Alien Entrepreneur), filing Form I-485 (Application to Register Permanent Residence or Adjust Status), and filing Form I-829 (Petition by Entrepreneur to Remove Conditions). All petitions are filed with the U.S. 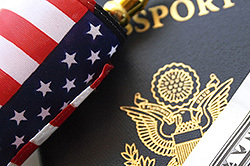 Citizenship and Immigration Services (USCIS) department of the United States government. The first step in the application procedure is to file Form I-526 (Petition by Alien Entrepreneur). This petition is to certify the applicant and the proposed investment as eligible for the EB-5 visa program. The current processing time is between four to six months. After the I-526 is approved, you may apply for temporary residency by filing Form I-485 (Application to Register Permanent Residence or Adjust Status), for which the current processing time is between six to 12 months. If approved, the investor and his/her family members (unmarried children under the age of 21) are granted "conditional permanent resident" status which is good for two years. After the I-485 is approved and within 90 days before its expiration date the investor may file "Form I-829 Petition by Entrepreneur to Remove Conditions”. At this stage the USCIS will verify that the investor maintained the investment for the required two-year period and all required jobs were created. 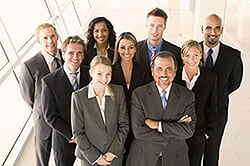 If approved, the investor receives permanent residency status (the "Green Card). As a permanent resident (conditional or unconditional) you can live, study, or work in the United States, and travel freely to and from the country. After five years as a permanent resident (two years as a conditional permanent resident plus three years as a full permanent resident) the investor may apply for U.S. citizenship. Q: Will the visa also include my family? A: Yes, your spouse and unmarried children under 21 can be added to the I-526 petition. Q: How do I prove the origin of my investment funds? A: When filing the I-526 you must prove that your investment funds come from lawful sources, such as personal income or the sale of your assets. Valid proof includes five years of personal and business tax returns, five years of bank account statements, or proof of business ownership, business licenses and business financial statements. If you obtained your funds from the sale of your company, the sale of investments, the sale of other real estate, an inheritance, or a gift, you must provide official documents, such as contracts, closing statements, and similar. Q: Is there a risk that I lose my investment? A: Yes, the U.S. government requires the investment to be "at risk" to qualify for the EB-5 visa program. This includes starting a new business or investing in a Regional Center as these centers are not permitted to guarantee the return of the investment funds. Q: What kind of return on investment (ROI) can I expect? A: Your return depends on many factors, including whether you invest in an existing business, or a Regional Center. In general, your return may be higher if you invest in a high-risk business, and it will be lower if you invest in a lower-risk enterprise. The visa application is not dependent on the return your investment generates. Q: Once my I-485 application is approved, do I need to move to the United States or live in the U.S. for a minimum number of days during the year? A: Yes. Within 180 days of receiving the visa the investor must enter the U.S. and establish residency. Evidence of residency includes opening a bank accounts, obtaining a driver's license or social security number, paying state and federal income taxes, as well as renting or buying a home. In general, all permanent residents must live in the U.S. at least six months each year in order not to lose their "Green Card". Q: Can you help me find a real estate agent in the Unites States? A: Yes. We are associated with several licensed real estate agencies in the U.S. and would be happy to help you find your ideal commercial as well as residential property free of charge. Please use our contact form for a free consultation. Q: Can you help me find a Regional Center in which to invest? Please contact us for a detailed cost estimate or confidential consultation. Our associated attorneys are ready to assist you with attaining your investment objectives and answer any questions you might have about the USA Residency / Citizenship by Investment program. Our immigration associates in Spain are working exclusively on Citizenship & Residence matters and will stand by your side throughout the entire application process, from start to finish. The team will work with you until your residence or citizenship by investment application has been approved and you have received your residence certificate or Spain (EU) passport. Do you have any questions? Use our contact form to receive a reply today. USA EB-5 Immigrant Investor Visa. Residency from USD 500,000. USA Citizenship. The investor may apply for the U.S. citizenship and passport after 5 years of residency.